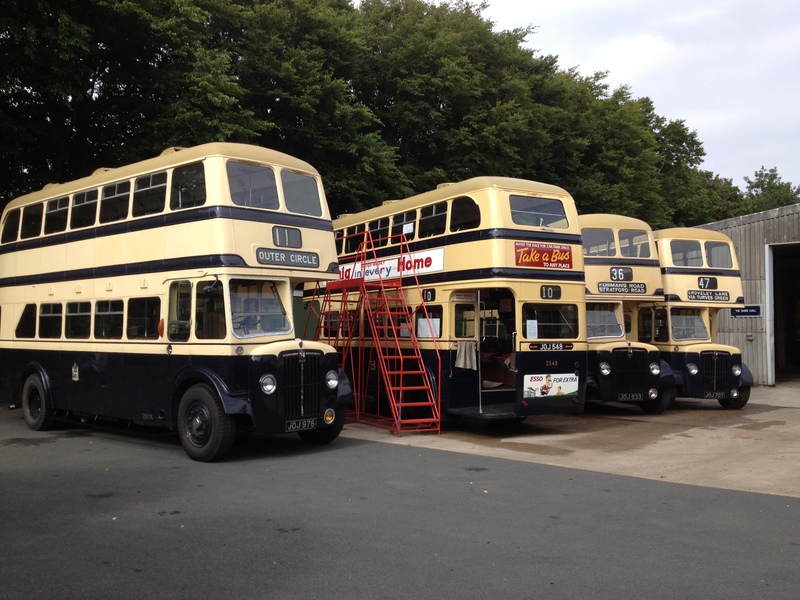 The Transport Museum at Wythall is celebrating one hundred years of motor bus operation in Birmingham by running a fleet of Blue & Cream BCT buses from the event day at the museum on Monday the 26th of August to the Outer Circle at Sarehole Mill, or Swanshurst Park (depending upon traffic). The buses will drive in convoy and stop for the benefit of photographers at between 1:15 & 1:45pm. 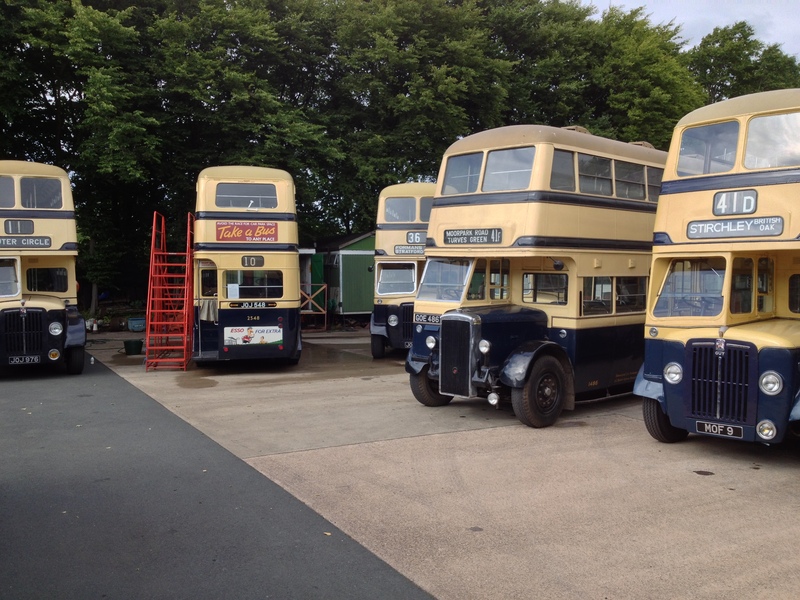 Here are some of the buses ready for action at Wythall. Get along to Wythall on Bank Holiday Monday (26th August) to see this magnificent spectacle! Remember – for a longer ride on the Outer Circle come along on one of our historic bus tours on the 20th or 27th of September. Find out more here. This entry was posted in Historic Bus Tours, Outer Circle Bus Trips, Wythall Transport Museum and tagged 1950s Birmingham Corporation Double-Decker, Birmingham, Birmingham Buses, Birmingham City Transport, birmingham in the 1950s, Blue & Cream Buses, Blue and cream, BRUM, Bus Tour, Guy Arab IV, old buses, Outer Circle, Outer Circle Bus, Ride the Outer Circle, Sarehole Mill, Vintage Bus, Vintage Bus Trip, Wythall Transport Museum. Bookmark the permalink.